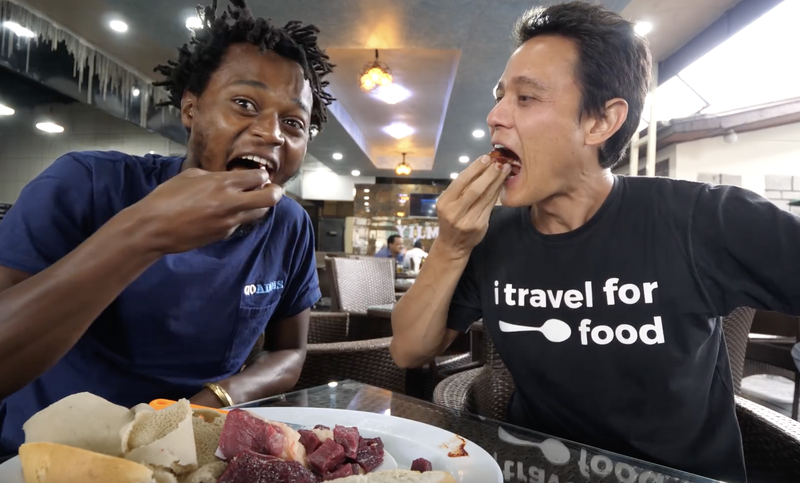 Travel and food vlogger Mark Wiens recently explored the capital of Ethiopia, Addis Ababa. He partnered with a local tour company, Go Addis Tours, and saw the local market as well as tasting the local cuisine. If you’ve never had Ethiopian food before, you are in for an educational and eye-opening treat. The country has some of the most delicious and unique food in the world. Ethiopia, along with Indonesia, is a major producer of coffee beans and is renown for their traditional brews.